Pet Fence of Mid TN. We offer pet containment systems. Safe. Humane. 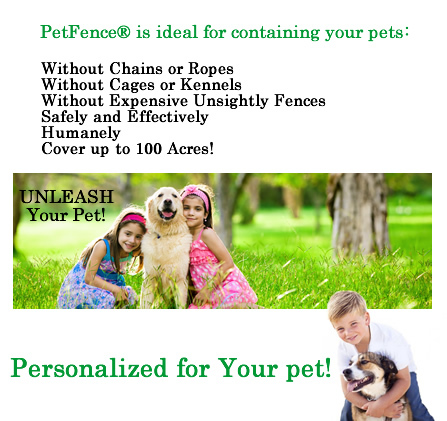 Invisible pet fence, Indoor pet containment, Outdoor pet fencing. Keep your pet within a designated area. 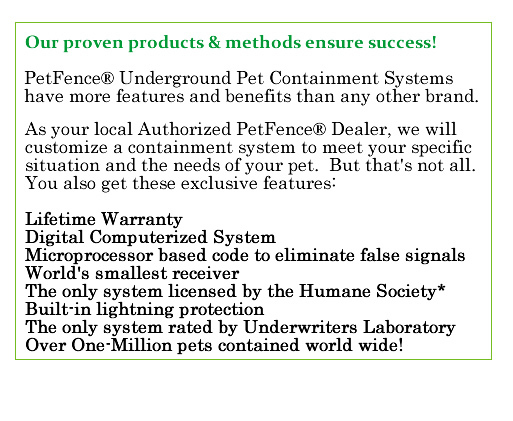 Underground fencing for pets. 7942 US Hwy 70 S.